In love with oil painting. 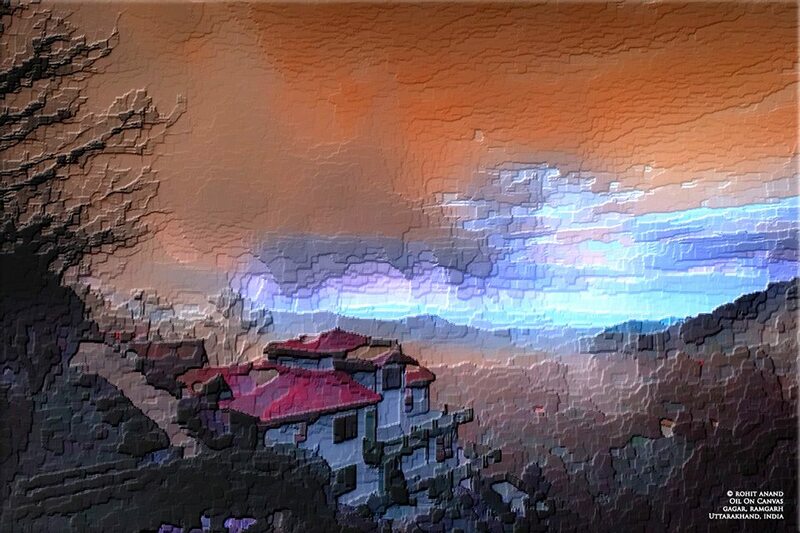 When beautiful Himalayan colours meet the freedom of a digital brush, its amazing to re-imagine and deepen the saturated hues on canvas. The scene is real, the colours are part real, part fantasy. Gagar, Ramgarh, Kumaon Himalaya, Uttarakhand. February 2014. Brings a smile, to realise that a Bengali, Arko Pravo Mukherjee, has written the Urdu lyrics and composed the song. Here ‘Yaar’ can be a friend, a lover, a passion, a hobby, a vocation or just about anything dear to us.